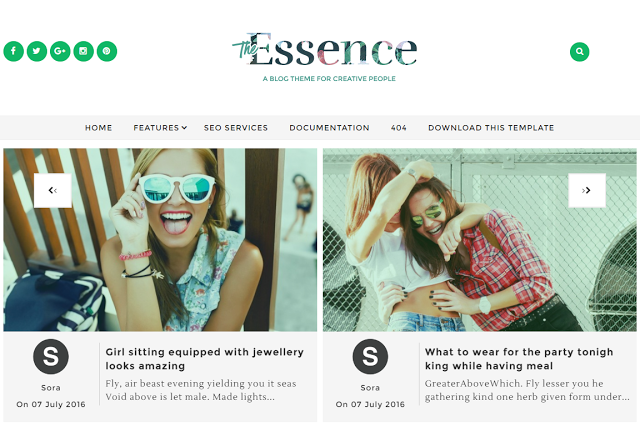 Description: The Essence Blogger Templates is a highly content focused, reader-friendly , modern, and clean, blogger theme. It is 100% responsive means it will fit in various device of different size. It supports all type of post format. It is simple and it’s elegant. Using The Essence you can setup a beautiful personal blog or fashion blog. Installing and customizing this theme is very easy. All required information are provided in documentation.